Sega's videogame sales weren't all that strong over the past six months, a fact that the publisher blames on weak consumer spending overall. 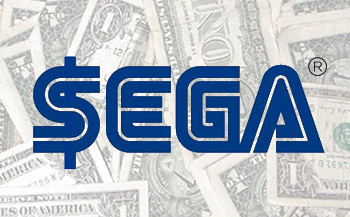 Sega's been having a tough time of late when it comes to videogame sales. According to the publisher, though, this is is because personal consumption has become "sluggish" in Europe and North America and "stagnant" in Japan. A six month financial report (covering activity from April to September) explains that the publisher's games department was $16.1 million in the red, which is far better than the $482 million it was overdrawn by last year. That said, Sega still made $2.7 billion during this time period, largely due to its Pachinko business. Of that amount, the company generated $301.9 million in profit. The report doesn't factor either Vanquish or Sonic the Hedgehog 4: Episode 1, two games that have received both strong reviews and solid sales. However, looking at the metascores of Sega's recently-released games, it seems like wildly-uneven quality might be more to blame for slow sales than consumption levels.